Despite not quite qualifying as world metropolis, Frankfurt is a vibrant city. The Friedrich-Ebert-Anlage is one of the most frequented streets in the city. The fair is located there, among other prominent buidlings. 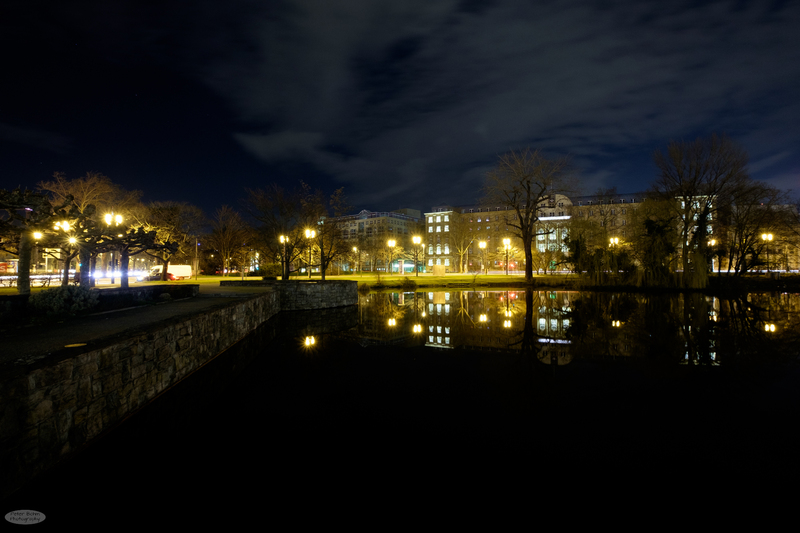 All photos were taken using my Fujifilm X-T1 and the XF 10-24 lens. 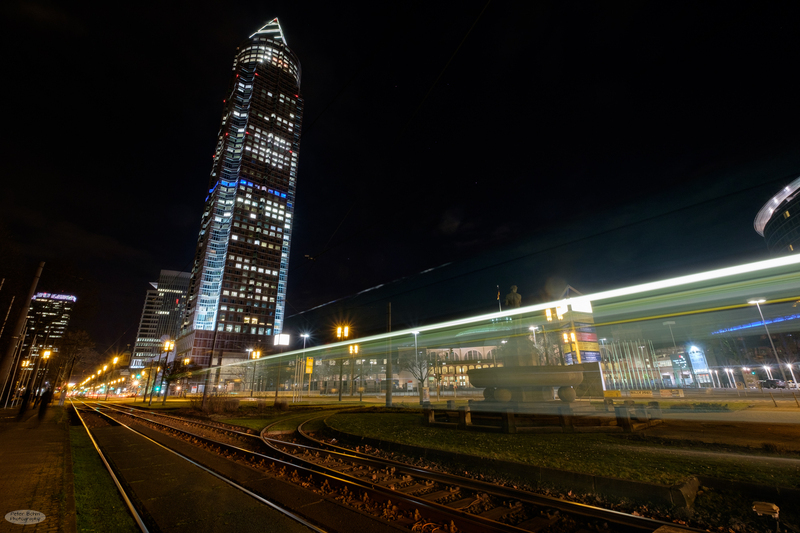 A tram accelerates in front of the Frankfurt fair tower. 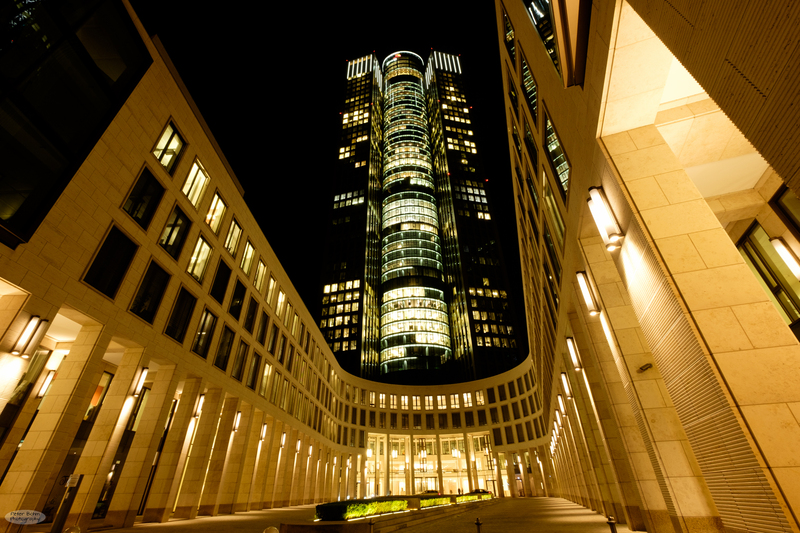 Many hotels and office buildings can be found in this part of Frankfurt. On the inside of a large roundabout, a small pond can be found. 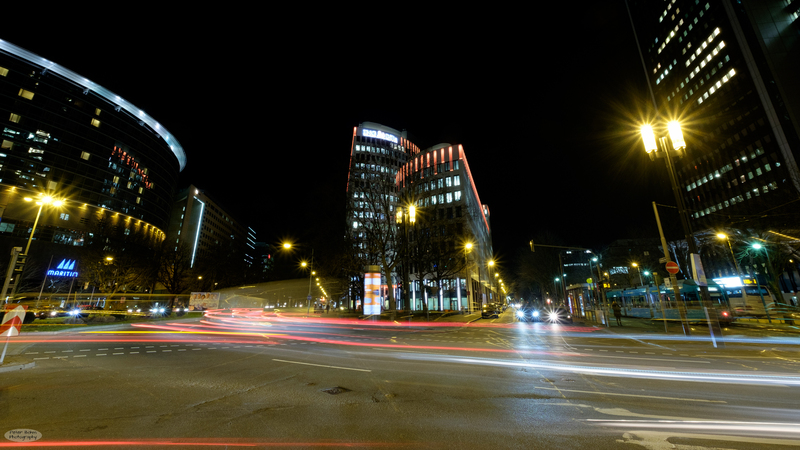 Tower 185 is a relatively new building not far away from Frankfurt central station.